Keto Lamb Stew Recipe - "Pressure & Slow Cooker Instructions" - Easy! 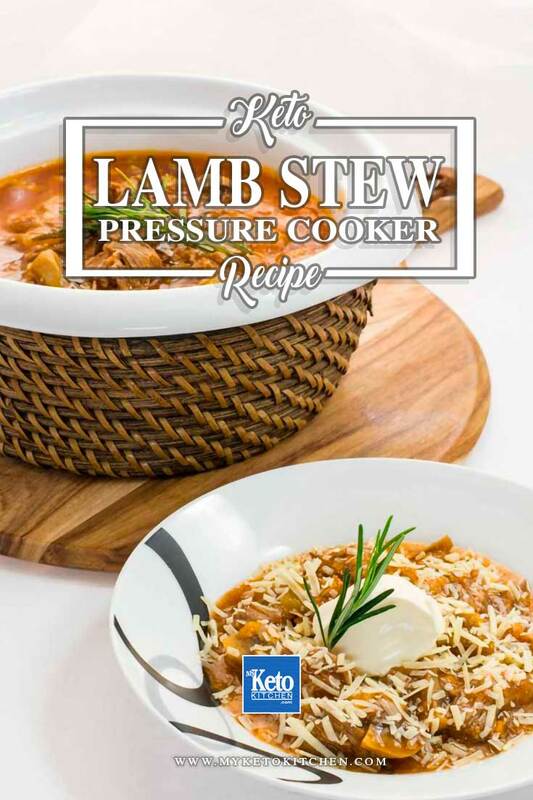 Home » Recipes » Keto Lamb Stew Pressure & Slow Cooker Recipe Instructions – Easy! 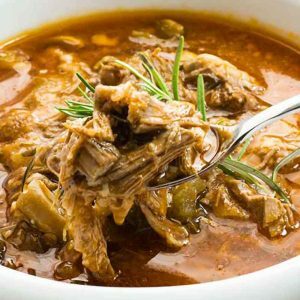 Our Keto Lamb Stew Pressure Cooker Recipe (can also cook in slow cooker) is loaded with fats, protein, and fiber. We’ve sung the praises of high pressure cooking before and continue that song with this rich pressure cooker lamb stew. The pressure cooker (or instant pot) makes short work of turning a tough lamb shoulder into succulent, tender meat. 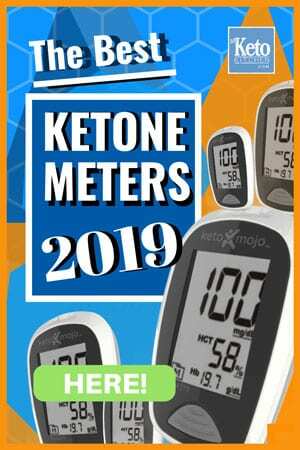 This keto lamb stew pressure cooker recipe makes 15 serves. The nutritional information reflects one serving with the addition of 2 tablespoons of Sour Cream and 1 tablespoon of Parmesan Cheese. Place the tallow, garlic, onion, rosemary and celery in the base of your pressure cooker. Saute over medium heat for 5 minutes. Add the salt, pepper, red wine vinegar and tomato puree. Continue cooking for another 5 minutes. Add the beef stock and stir well. Gently place the lamb shoulder into the pot, ensuring that it is just covered by the liquid. Add extra beef stock or water until the lamb is covered. Bring to a boil and secure the lid onto the pressure cooker. Turn the dial to the highest pressure setting and allow to pressurize. Once your cooker starts to release steam, drop the heat to low and leave to cook for 2 hours or 30 minutes per pound. After 2 hours, turn off the heat and leave to release pressure for 20 minutes. After 20 minutes, turn to dial to release any remaining steam. If there is a big release of steam, leave the pressure cooker for another 5 minutes before attempting to open. Remove the lid of the pressure cooker and gently remove the piece of lamb shoulder. We recommend using a spider tool or 2 sets of tongs. Turn the pressure cooker back onto medium heat and allow to liquid to simmer and reduce by ¼. While the liquid is reducing, use tongs to pull the lamb meat off the bone and roughly chop into bite-sized chunks. Add the chopped lamb meat back into the pressure cooker, along with the mushrooms and simmer for 10 minutes. Serve topped with 2 tablespoons of Sour Cream and 1 tablespoon of grated Parmesan Cheese and enjoy! This keto stew is very easy to make in large batches and refrigerate for up to a week or freeze for 2 months. (if you don’t have a pressure cooker) copy all the instructions above except place in a slow cooker for 7 hours on low. You can cook on high for 5 hours. But I feel long and low gets better results in the slow cooker. There is no real pressure involved in breaking up tough cuts in a slow cooker. So 7 hours on low is best to give the meat time to get really tender. Best Keto Lamb Stew Recipe - "Pressure & Slow Cooker Instructions" Easy! Casseroles and Stews are great one-pot dishes that can feed you for many meals. Our Rich Lamb Pressure Cooker Stew is loaded with fats, protein, and fiber, it will feed a crowd! While the liquid is reducing, use tongs to pull the lamb meat off the bone and roughly chop into bite sized chunks. 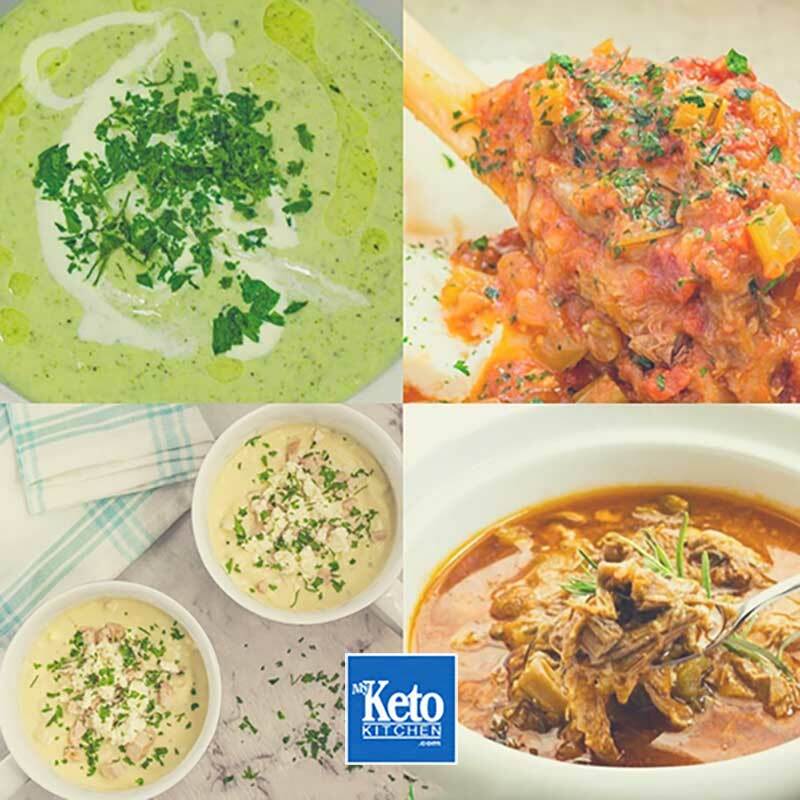 Check out our Keto Winter Recipes for more slow cooker creations. Normally stews are made with various vegetables such as potato and carrots etc, some people also use flour to thicken the sauce so it is not low-carb. 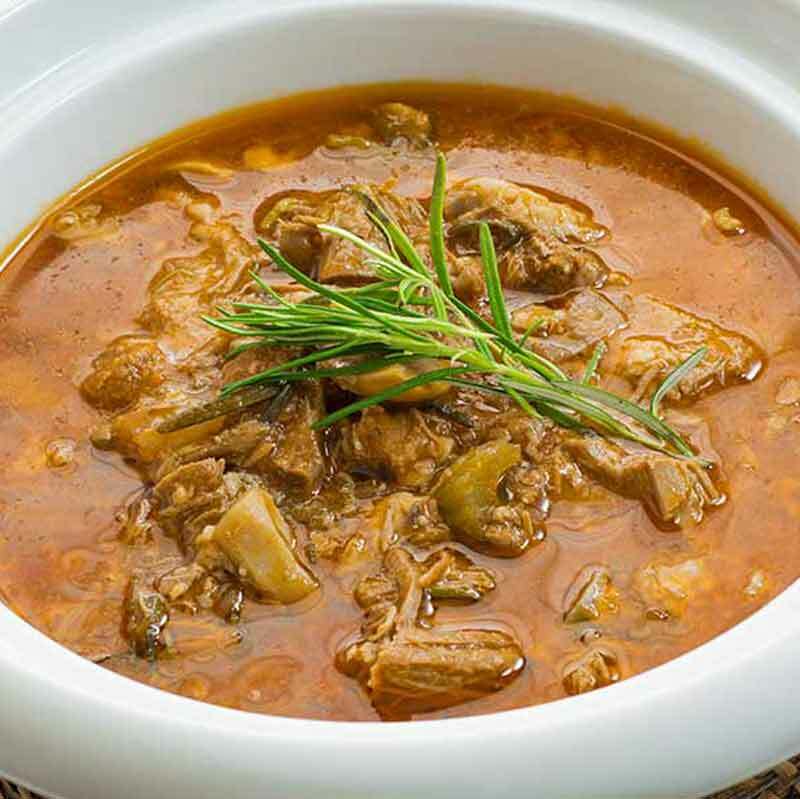 Our lamb stew, however, removes the starchy, high carb vegetables and adds extra tallow for fat content so it is very low-carb and keto friendly. To make a larger batch of this Keto Lamb Stew Pressure Cooker Recipe adjust the servings above.